Achieving success in the financial markets requires one to develop and harness a number of sharp skills. Traders combine their understanding of the market with emotional intelligence to make timely trading decisions. But while having cutting edge technical skills is undeniably crucial for successful trading, the psychological aspect of trading is even more important. This explains why only the people with a certain mindset make it big in active trading. Regardless of your education background, training, or experience, you can succeed in trading provided you get the psychological part of it. This article will help you understand trading psychology and how you can set up your mind for success in trading. Trading psychology reflects the orientation of the mind in relation to the dynamism of the financial markets, and how his behaviors and character influence his emotions and mental state while taking trading decisions. It is a certain kind of presence of mind when engaging in trading activities, and it is the major determinant of a trader’s long-term success. Why Does Trading Psychology Matter? Why should you spend your time developing and refining your trading mindset? Improving your trading psychology helps you to build your personality and a trading career. It gives you an opportunity to put into perspective your personal tendencies while trading and you are able to identify shortcomings as well as areas of strength. You also know how best to contain emotions to prevent them from getting in the way of decision-making. The overall benefit is a reduction of errors in judgment and prevention of impulsive reactions to the markets. Understanding trading psychology helps you to develop a strong sense of steadiness while engaging in trading activities. Imagining the best case scenario can inspire you to achieve it. According to a Forbes report about the power of vision boards, about 20% of business owners use a vision board or another form of visual representation of where they want the business to be in future. 76% of the respondents in the reported survey said that where their businesses are today is where they envisioned it a few years back. You have to imagine winning to actually win. What would it feel to make a killing on a trade? Can you see the big win in your mind? Now move on to figure out the real steps you need to take to make it a reality. Use any form of physical motivation that can help you keep the fire burning. Whether it means a list of your goals or photos of the things you’d like to achieve in your trading career, motivate yourself every day with visual motivation aids and you’ll eventually live the dream. In financial markets, big losses are not unexpected. The Forex market, for instance, can erupt so violently against your trading position if the position was not well thought out. No one is perfect or can confidently say how the financial market will be tomorrow. Losing big on a trade is possible. Knowing that, what should you do? Just as visualizing big success motivates you to look for ways of making the visualization a success, preparing for the worst-case scenario helps you to avoid actions that can potentially hurt your account. You also plan on how to save yourself so that you don’t blow up your account with repetitive losses due to irrational thinking. When all you see on the screen of your trading device are numbers, it is easy to forget that you are dealing with real money. Any decision that you make with your understanding and manipulation of these numbers will determine what your bank account will look like. Having it clear in your mind that there is real money at stake will also help you to be more careful when making any trading decision. You want to increase the money in your bank, not lose it. Therefore, be responsible and meticulous when approaching trading opportunities. The innate human instinct to try to be better next time, or try just a little more can grow into greed in trading. As applied in trading, greediness refers to holding winning positions for too long aiming at getting the very last tick. “Pigs get slaughtered” is an old saying on Wall Street. It is used to describe such investors. Being slaughtered’ alludes to the risk of being blown out or whipsawed from a position. While trading greed may sound like something easy to avoid bearing in mind the consequences, it is actually hard to overcome. A trader should know when this instinct is coming up and make rational decisions to avoid its potentially harmful influences. Where there are no rules, emotions take over. To get your head in the right place so that you can develop your trading psychology, you have to set rules and guidelines that are congruent with your risk-reward objectives. Let your mind understand from the beginning that the decision to enter and exit a trade is procedural, not emotional. Setting limits on the amounts you are willing to win/lose in a day is also encapsulated in the rule setting step. When you hit your daily profit, lock it and run. On the other hand, if you are hit by a losing trade to a magnitude of your predetermined loss limit, fold your tent and come back tomorrow. Hanging on a losing trade will only increase the chances of more losses. As you can see, rule setting is the basic step of rational trading. In conclusion, trading psychology is about developing the right perspective of the financial markets and building discipline for trading activities. It helps you to make and maintain positive trading habits and encourages continuous learning to cope up with these highly dynamic markets. 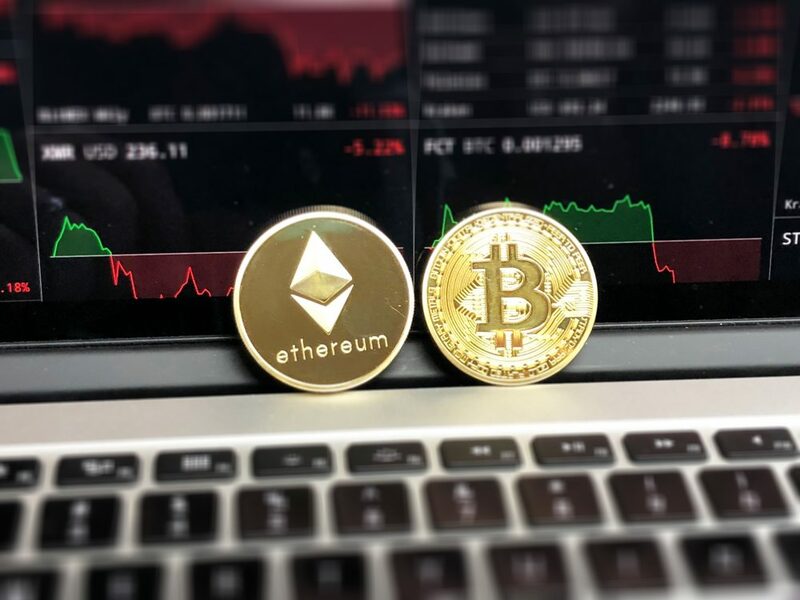 Whether you trade stocks, currencies, or have even considered trading cryptocurrencies, developing trading psychology is inevitable if you want to be a successful trader.